We’ve had a nice time here in La Paz over the past week or so but it’s time to start moving north. Dan finished running the net this morning, we completed our morning chores and are underway. Our first stop is Calita Partida as we make our way up to Laredo. Dan and Nancy of SV Karvi are just ahead of us. We passed Isla Lobo just a few moments ago. This must be where my friend Syd lives with his seal family and friends. I love watching them but I will tell you that as you approach the island there is a nasty stench hanging in the air. Cute they may be, but stinky too! Well, I’m about to lose internet. We will be off grid for a week or so but will check in as soon as we reach civilization again. Hope all our friends in the states have a wonderful Memorial Day weekend! A big thanks to the men and women who have fought to preserve our freedoms! And also thanks to their families! Having lived aboard Dazzler for over 14 years, I have gone through a few different electronic equipment upgrades phases along the way. First there was the new to boating boat owner phase, the I think I know what I’m doing now phase and currently the why don’t the pieces work like they are supposed to anymore phase. As I became more seasoned, I learned that my needs were disguised as my wants. I might want all of those things, but now more importantly I want them to all work together and play nice and have nice talking conversations. Not being an electrical genius, I discovered and learned that electrical equipment that integrates with a common language is important. Like National Electrical Manufacturers Association (NEMA) 0183 and 2000, or proprietary equipment languages like Raymarine SeaTalk or SimNet. Okay, big words and lots of languages out there. So after evaluating Dazzler’s marine electronics, I realized that I had some decisions to make. I chose Simrad as a base system for equipment integration. Simrad like most major marine electrical manufacturers have options to add NEMA 0183 or 2000 devices through special cables or splices. Having integrated equipment is very cool and in many cases minimizes the amount of dedicated displays you may need. This is a double edged sword. On one hand you have a dedicated piece of equipment that needs a special cable to integrate with your base system or not at all. On the other hand less displays are much kinder in regards to the real estate that is gobbled up by all the displays. If you have a big boat with lots of real estate, have a display for everything. But, in my case on Dazzler, a Union Polaris 36, real estate is a precious commodity and I chose to keep it simple. I decided to go with a multi function display (MFD). While on the topic of MFDs, I have a few tips for those of you that don’t own a deep well bank account. Avoid buying older models of MFDs. I say this from both sides of the coin. MFDs are like computers. They are constantly being updated and upgraded by the manufacturers with what may be an intent to provide consumers with the latest and greatest product. Constantly checking manufacturers web sites for firmware and software updates will also provide you with information of when your MFD may no longer be made or be supported by the manufacturer. I bought my first new MFD, that shortly thereafter became fossilized even though it worked with my existing Autopilot. As new versions of electronic charts became available they didn’t seem to work in the older formatted equipment. A friend of mine was doing a major electronics upgrade and offered me a used newer model of MFD that was newer than mine, a Simrad NSS8. It integrated better with my existing equipment and electronic charts. I thought I was out of the woods for a while. Little things started to become a little too quirky, so I decided to do another upgrade to a B and G Zeus3. All of the base equipment was supposed to integrate without difficulty. Ha ha ha! Recently I was in the SanDiego area and obtained the necessary hardware and equipment to install the new Zeus 3. Fast forward to work day one…. 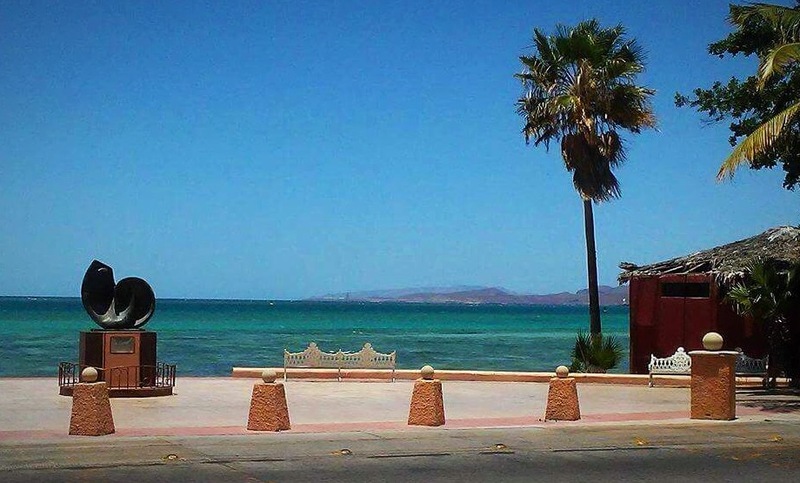 There we were swinging on the hook in El Mogote anchorage of La Paz, Mexico B.C.S. it was a beautiful day to start the project after coffee. The previous day I had installed a new VHF radio that went without too many hitches. I first had to remove the old equipment from the Navpod and then modify the Navpod for the new foot print of the Zeus 3. Fast forward to the electrical connections. The Zeus 3 and the Simrad NSS8 had the same electrical connections on the back and the Zeus 3 even had a few more. I plugged everything into the correct ports and was now giddy with anticipation of turning on the power switch for the first time. Ding, ding, ding! 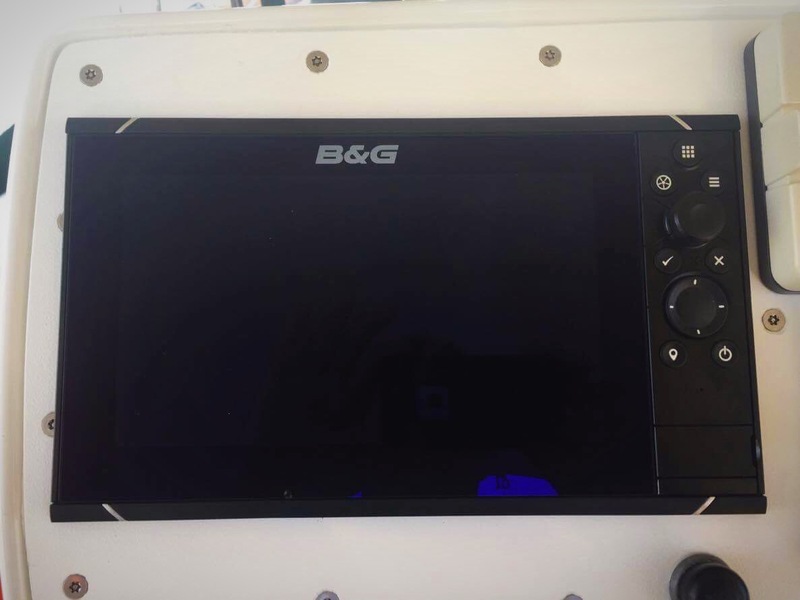 The panel flashed, the B and G logo lit up across the screen and it was going through initial set up mode. Then it came to a screen that indicated that the radar, autopilot and autopilot control head had software updates pending. From my limited knowledge of computers the first thing one should do is update the software or firmware of your equipment. Man did this start me down a road to the path of destruction. Great let me see how the radar display looks…okay guys? Where is my radar equipment? Why isn’t my Radar equipment even recognized? I know, I’ll call Navico tech support for assistance. I have to say all of the personnel at Navico tech support was friendly. But, they didn’t want to even talk about the issue with the software upgrade. Instead they started me down the path of, Your equipment must be bad. So, over the next three days with the guidance of Navico tech support, I tore the interior apart to access all wiring, I had checked the voltage of the wiring before and after equipment and connection points, checked the continuity of cables and Ethernet cables from the Navpod to the scanner on the mast. All of the wiring was in great working order. During This whole time of being told that it has to be bad equipment, I had a nagging suspicion that the software upgrade caused this issue. My last call to Navico reporting all the testing and progress I had completed looking for a bad wire, which resulted in none, I was told that I had a bad scanner. I explained how it was working last week before I attempted this MFD upgrade and the technician told me that I must have a ghost onboard. Seriously a ghost. Is that a technical term? Four days of digging around with my multimeter and several trips up and down the mast to the scanner, I was done! I decided to leave the radar as is for now and attempt to do the autopilot software upgrades. So I went to the manufactures website to download the appropriate files needed for the update. With the files loaded onto an SD micro chip I plugged it into the Zeus 3. After starting the download a status bar started counting off the percentage of completion. When it got to 99%, it cycled back to 95% and started counting upward again then repeated itself three more times. Then the message that everyone loves to see….Upgrade Failed! What? I went to my device list and now my autopilot was missing. What the H E double hokey sticks is going on? All of a sudden the light bulb came on! What if the radar experienced the same fate while I somehow wasn’t paying attention? Good luck out there! Remember nothing is free or easy in Water World. PS. The shiny things still attract me, but it’s not so easy for them to get my money these days. Ha Ha Ha!